So, you’re on the water in your camouflage boat while the sun is just beating down on you, making you sweat. You have hours of daylight left, and you want to enjoy your trip. What now? You need a Camo Bimini top! The Bimini top can allow you to have a nice, cool shaded area on your boat and keep you out of the path of the dreaded sun. You can sit back and relax in comfort while waiting on your trophy to come into site. 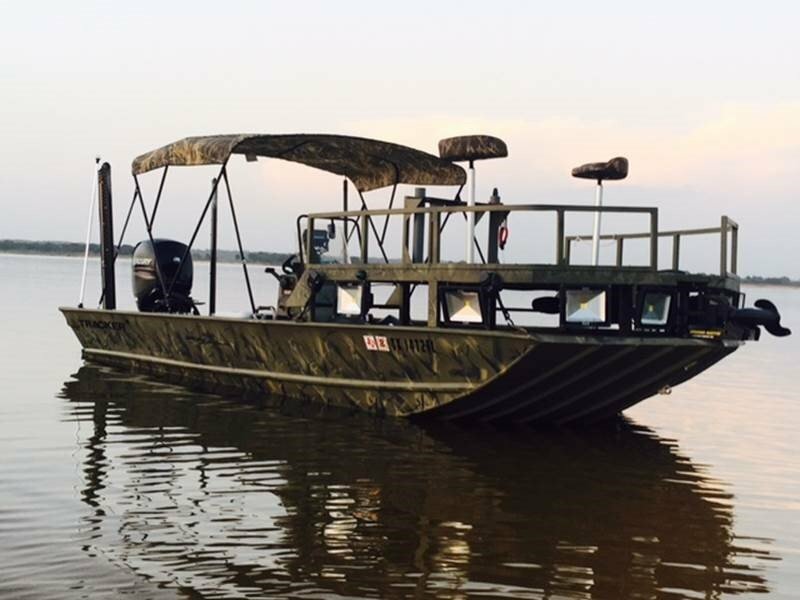 As you can see on Shane’s boat, the Shadow Grass Camouflage Bimini Top blends in perfectly with his Tracker. Thanks for sharing the photo, Shane! The Camo Bimini will come with a matte black aluminum frame and fittings that will blend with either of the camo patterns we offer. You can select the 8 oz. 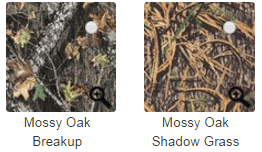 Mossy Oak Breakup or Shadow Grass canvas. Our Bimini Canvas is UV resistant, reflecting the sun to keep you cool and comfortable. It is also water-repellent with an anti-fungal, anti-microbial finish that will help to keep you dry if it starts to rain while you are in the middle of a trip. *Mossy Oak is an official trademark, used under license for Haas Outdoors, Inc. By Carver Industries, Inc.
Don’t let the sun make things too hot for you! 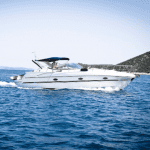 Let us help you find the right Camouflage Bimini Top for your boat. Check out our website at Boatcoversdirect.com, or give us a call at 1-866-626-8377. Any one of our customer service representatives would be happy to help! Next: Tips on Keeping your boat cover clean and long lasting.